Bioprocess engineering employs microorganisms to produce biological products for medical and industrial applications. The book covers engineering tasks around the cultivation process in bioreactors including topics like media design, feeding strategies, or cell harvesting. All aspects are described from conceptual considerations to technical realization. It gives insight to students of technical biology, bioengineering, and biotechnology by detailed explanations, drawings, formulas, and example processes. In Bioprocess Engineering upstream, bioreaction, and downstream stages are closely linked to each other. From a biological point of view photo-biotechnology is in the centre of interest as well as processes, where the particulate properties play an important role. The main technical means are fermentation under highly controlled conditions, mathematical modelling of bioprocesses including measurement of intracellular compounds, as well as mechanical separation methods arising from downstream processing. The characteristic properties of nanoparticles compared with their bulk counterparts makes them key materials in a wide range of industrial, cosmetic, medical and food-related technologies. There are physical and chemical methods for the synthesis of nanomaterials. However, due to the damage caused by these methods to the environment, the expense involved and the low productivity, there is a pressing need for a green nanotechnology that is a clean and eco-friendly alternative for the development of nanomaterials. Biogenic nanoparticles can also have unique features compared with those produced by classial process engineering. 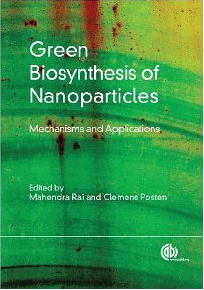 Green Biosynthesis of Nanoparticles: Mechanisms and Applications describes the green synthesis of nanoparticles by algae, bacteria and plants. The mechanisms behind the synthesis will also be discussed. With the high interest in renewable resources, the field of algal biotechnology has undergone a huge leap in importance in recent years. The book treats the biological fundamentals of microalgal biotechnology in physiology and molecular biology and provides an overview of applications and products. It furthermore includes a survey of the state-of-the-art in process engineering of algae cultivation starting with mass production in open ponds and leading you to advanced technologies in closed photobioreactors. 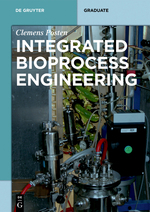 Thus crucial enabling technologies reaching from genetic manipulation to bioprocess engineering are reviewed. Contributions from academia and industrial case studies make this book a comprehensive survey of current progress in microalgae biotechnology. So this book will be of interest to active people in biology, biotechnology, and engineering in the area of sustainable production of high value products or mass production of food and fuel for the future. With the high interest in renewable resources, the field of algal biotechnology has undergone a huge leap in importance in recent years. 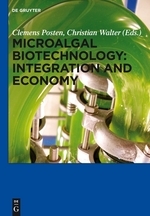 The book Microalgae Biotechnology - Integration and Economy treats integrated approaches to bring the high potential of microalgae into application, accelerate the development of really working production processes and put finally the products on the market. Close interaction of biology and process engineering becomes visible in the described processes. The big impact of microalgal biotechnology on our future society is outlined as a desirable consequence of scientific progress. 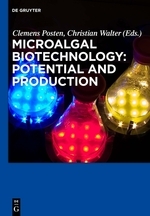 This book will allow protagonists in academia and industry as well as decision makers in industry and politics to get a clear picture of current possibilities and future trends in microalgal biotechnology.